Bulldog Yoga: Anywhere. Anytime. — . I am always challenging my body through dance, cycling, lifting, tennis, hiking, running, boxing…the list goes on. Through it all, yoga is the glue that keeps this body together. 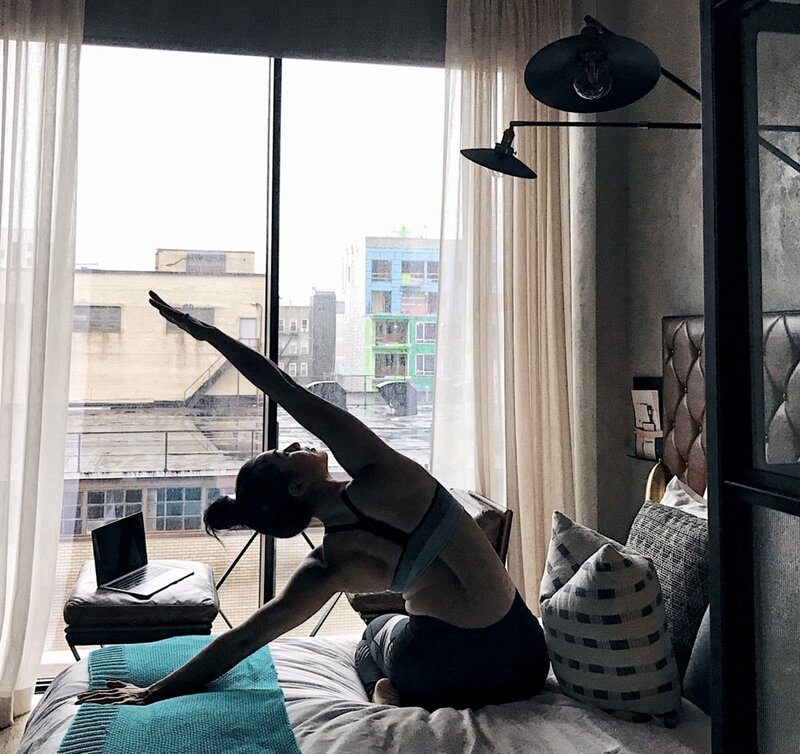 Because I am running around this crazy city, hopping on planes and spending long hours on set, over the past few months I’ve really grown to love my online yoga. My class, teacher and an amazing playlist come to me anywhere, anytime. My online platform of choice is Bulldog Yoga. It’s a fitness focused flow with energizing music and blood pumping moves. Instead of watching an instructor demonstrate the flow, Bulldog films an entire room full of yogis of all levels. Because you’re watching people just like you on camera, the practice feels loose and approachable. Some students nail every position while others fall and get back right up. From what I can tell, there are no reshoots or do-overs which makes me feel like I too am in the room and putting in the work to be #BULLDOGSTRONG. Bulldog has 4 different categories of classes to choose from depending on what mood you’re in. Activate, Invigorate, Exhilarate and Bulldog Bites. 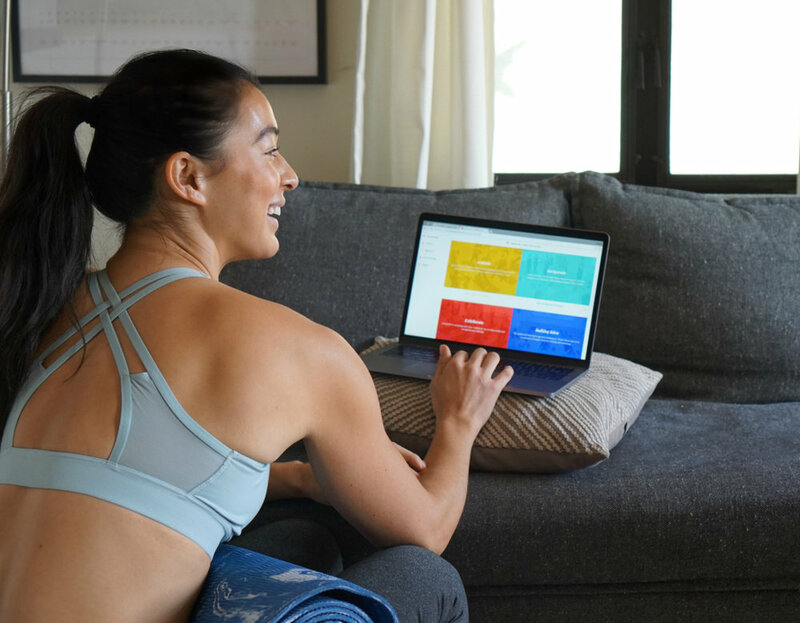 “Activate allows you to work your entire body in a dynamic ‘slow flow’ class.” The music is calm but still full of energy, think Coldplay with a splash of Chainsmokers. This is what Bulldog considers their classic flow. Good for anytime of day, any time of mood. These classes are a full body workout. Invigorate is “ambitious, stimulating and pretty darn aerobic”. I love to take these classes first thing in the morning. The flow heats up my day, but doesn’t wipe me out. You’ll flow to classic bulldog music mixes with heavy hitters like Britney, Justin and Queen Bey. Exhilarate is the toughest of all 4 categories as Bulldog dials up the cardio and give you an option to incorporate a resistance band for an added strength challenge. I love the Gwen Stefani themed class! This is a section I frequent. These classes are quick- anywhere from 12 to 30 minutes. There offer body specific classes like “Core On The Floor” or “Hips and Hammies” which I love to tack onto other workouts. There are Bulldog Basics for beginners or yogis who want to get a refresher on form and flow. Want to be #BULLDOGSTRONG too? I love to share the love when it comes to things I stand behind. Use code "meagankong15" for 15% off in additional to the standard 20% off your first purchase at bulldogonline.